Our topic of the week is A Lecturer’s View of Teacher Training. 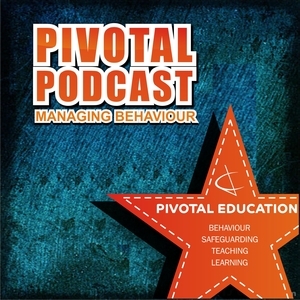 This week we return to our more usual format as we welcome James Williams to the Pivotal Podcast. 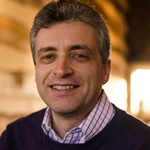 James is a lecturer at Sussex University where he has been for over 11 years. Sussex has just had a very successful Ofsted inspection. Paul begins by asking James what he thinks is the bast way to train teachers. James is very keen on the system we currently have – a mix of in-depth classroom experience with experienced teachers and mentors in school backed up by what he calls the professional aspects of education – the theories of teaching and learning, how children grow and develop and understanding why we do what we do. James says this for him is what sets teaching apart from other jobs for which people can just be trained. James contrasts professions like Law or Medicine with teaching and argues that 36 weeks of training wouldn’t be accepted there, yet we train teachers in this timescale. He says that he thinks we are right at the limit and would prefer much longer training for a profession with such responsibility. There is a huge amount of pressure on trainees today – much more than when James was trained. Now, you are expected to be good or outstanding – and in a much shorter time. There needs to be time to reflect, to understand what you are doing in teaching. Read the rest of the show notes on the Pivotal Education site. Get involved with the podcast!